Classification of microphones is complex. They are distinguished by the type of conversion to dynamic and condenser. Condenser microphones can be widely or narrowly membranous. Still, they are classified according to the direction and field of application (orientation). On this basis allocate hand, lavalier, desktop, remote, “gun”, and many other highly specialized types. 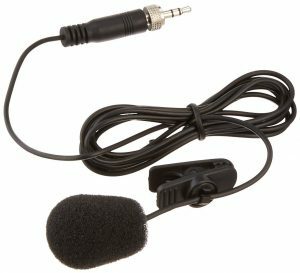 A lavalier microphone is used primarily on television. With the help of it, guests in studios are interviewed, it is used in transmitting. It can be seen in the theater, television, and presentations. 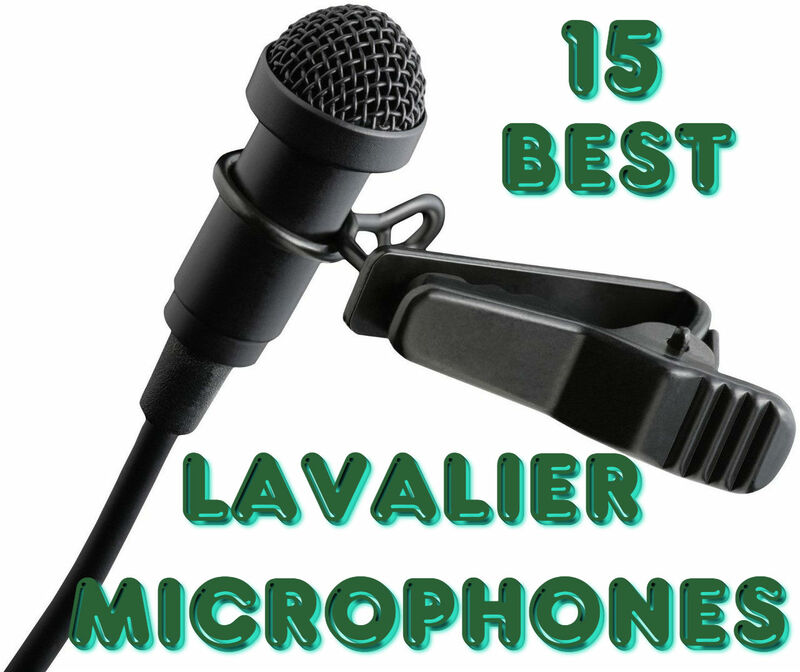 Often in various sports (and not only) show lavalier microphones are used – to run around with the microphone in hand, to perform various tasks are often impossible, headset microphone is not always secured, then lavalier microphones come to the rescue. You can find some wireless lapel systems here. They provide enough high-quality voice and deliver a minimum of discomfort. Characteristic signs: a small head and a fixture in the form of clothespins. The specific method of attachment allows freedom of movement, but also it has certain requirements. Today, there are a huge number of lavalier microphones. And how they differ and what microphone is the best one – we will help you to find out. Omnidirectional lavalier microphone is versatile in use, so can be operated not only with DSLR and video cameras, but also with external recorders and even with smartphones and tablets. 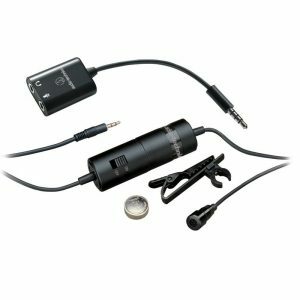 The microphone is equipped with a standard 3.5 mm plug with gold plated contacts and a six-meter cord, allowing an operator or engineer to move a sufficient distance from the subject. Battery Boya BY-M1 is located in a separate power unit and can be switched off. The microphone can be attached to clothing or interior elements, using the convenient and reliable clips. The microphone is ideal for use in the studio and in spite of the microscopic size provides great sound quality with extremely low noise. The price in comparison with analogs. A good quality of materials. And most importantly, in a relatively small amount of money we get quality sound. Tight metal pin, which in theory can damage some fabrics when attaching to clothing. Remote control with phantom power. It has not any indication that may lead to full video recording without sound. Fresh omnidirectional lavalier condenser microphone AUDIO-TECHNICA ATR3350 includes all the benefits: compact, comfortable to use, not bad sound quality and absolutely sensible cost. This microphone is a perfect conclusion of the organization of television, meetings, conferences, trips – wherever your voice shall sound clearly and fastidiously. AUDIO-TECHNICA ATR3350 provides a probability for quite unpresentable cost to get the highest quality sound with a small number of external noise. The omni-directional model ensures the highest audio capture. The key purpose of AUDIO-TECHNICA ATR3350 – is a very clear and provision of human speech. This microphone will be a good signing for the announcers on TV, tour guides, during the demonstrations and conferences. The low profile system of AUDIO-TECHNICA ATR3350 guarantees its lowest illusion. The microphone is small in volume and a stronger on clothes, for example, on the collar of the shirt or tie (clip for strengthening is supplied). Thanks to the characteristics of the microphone, the model is perfectly suited for use in video, for which it had already loved by the instructors of aerobics, dancing, and sports. The integrated 3.5 mm cable is suitable for most cameras. AUDIO-TECHNICA ATR3350 microphone is enabled to connect to every device, to a computer as well. It may be done due to a mini-jack connector. For the power of the microphone, anormal cell of batteries “tablets” is required, a charge of which is enough for long-term future. In a set, not including clips for strengthening the microphone and batteries, foam windscreen and ¼ “adapter ATR4697 are supplied. Frequency response: 50 – 18,000 Hz. Length of a cable: 6 m.
Mounting / installation type: lapel. Accessories included: clip for attachment, battery, windscreen. The quality of performance is on the top. A voice is heard clearly and legibly without noticeable distortion. It is convenient in using. Recording to a computer is rather quiet. 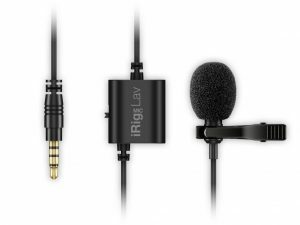 Lavalier microphone of miniature size iRig Mic Lav is designed specifically to work in conjunction with such devices as Android or iOS. The described device is equipped with a condenser capsule of omnidirectional character, is responsible for, in truth, crystal clear sound in a wide range of frequency response. 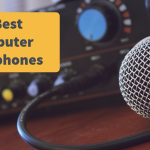 It should be immediately noted that the microphone is best used in an interview recording cases of shooting video, podcasts, etc. 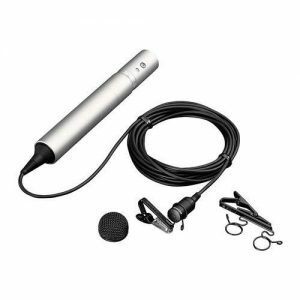 Model iRig Mic Lav favorably differs from the other counterparts for its long cable, ergonomic design of high strength and the ability to connect one more of the same microphone in the chain mode, which automatically provides a parallel writing pair of sound sources in 1 device. The professional microphone of lavalier type under various mobile gadgets. Mounted high-quality condenser capsule of omnidirectional character. This model is equipped with a removable windscreen made of foam rubber, and also a detachable clip. To connect to equipment iPhone / iPad / iPod Touch and phones running on Android, mini-jack of a type TRRS is provided. It is very convenient to connect the second microphone for parallel sound recording from two sources or to connect headphones under monitoring and in real time. The delivery package includes several different types of software necessary to record. The device supports all applications for audio recording through the jack of a headset. 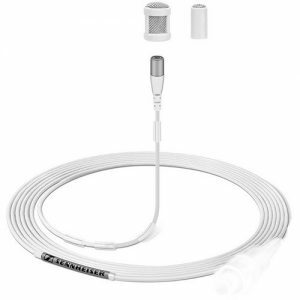 cable has a length of 1.5 m.
Lavalier ultra-small condenser microphone Sennheiser ME 2 implements a circular pattern. High-quality omnidirectional microphone excellently conveys voice and the sound of musical instruments. Sennheiser ME 2 is adapted for the use with waist transmitters of evolution G3 series. To connect the microphone a cable length of 1.6 meters is used with built-in 3.5 mm mini jack. The color of the microphone is matt black. Packaging includes a special mounting clothespin and windscreen of metal. Intelligibility and precise voice transmission. Simple and easy fixing on clothes. Connection to the transmitter of evolution model through output mini jack 3.5 mm. Ability to use with portable recorders. Frequency range, kHz 0.030 … 20. The level of sensitivity, mV / Pa 20. Maximum sound pressure, dB 130. Designed to work both in the studio and on the street. Due to the mantle is worn on the microphone, it is almost completely eliminates wind noise. This microphone is made for native radio system Sennheiser. Lavalier condenser microphone Smartlav is the latest development of the Australian company Rode, the world-renowned manufacturer of audio equipment. RODE Smartlav is designed for professional work with iOS-compatible devices: iPhone, iPad and iPod Touch produced by Apple. The connection is due to the jack for a headset (3.5mm). The device was created to work with iOS application Rode Rec but is compatible with any audio app for iOS mobile operating system, which operates with a signal from a headset interface. With the help of the equalizer, you can flexibly customize the sound to work in a variety of settings. Professional editing functions will expand your capabilities and the option of publication on cloud storage services like Dropbox and SoundCloud instantly allow to share records. Microphone Rode Smartlav can be used in quite a professional level of broadcasting, television, and cinema. Compact body distinguishes it in the conditions of the impossibility of the use of large equipment. The microphone has a pie chart, so it is able to pick up sound from any direction. The microphone is capable of operating with a frequency range from 20 Hz to 20 kHz. Sensivity – 25 mV / Pa.
Windshield minimizes distortion and serves to mitigate the “explosive” voice sounds. There is a strong clip with cable management. Power supply: from the Apple device. Sensitivity: -32dB (1 .OmV @ 94 dB SPL) ± 2 dB 1 V / Pa @ 1kHz. Good recording quality, it is better than on the built-in microphone. Works only on iOS and Android. Does not work with a camera. Shure MVL belongs to Motiv line. It is adapted for the use with smartphones and tablets on iOS or Android. The connection is made via the microphone jack for headphones. The device will allow qualitatively to record interviews, lectures, and performances. The model is characterized as omnidirectional and has a large ratio of signal to noise. When you connect a microphone to your iPhone or iPad it is possible to use highly proprietary utility ShurePlus Motiv Mobile Recording, which can be downloaded free of charge, or third party software. It is equipped with a microphone capsule type MEMS. Response of frequency – 45 Hz – 20,000. The ratio of a signal to noise is 65 dB. The maximum level of sound pressure, dB 124. The dynamic range of 95 dB. Sensitivity at 1 kHz -44 dBFS / Pa. The equivalent output noise, dB 29. Connector Type – 3.5mm TRRS. Body material – cast zinc alloy. An excellent microphone for the reporters. Good sound quality when recording, which can immediately be sent via SMS or email. Cardioid microphone best suited for recording vocals or speech (used with Evolution wireless systems). Mini jack connector. 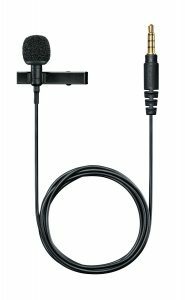 Microphone Sennheiser ME 4 N – is a very small lavalier microphone. The model has an extremely low weight, conveniently mounted on clothes and still hardly noticeable. In addition, the microphone provides high sound quality, thanks to the good sensitivity, cardioid polar pattern and a fairly wide range of perceived frequencies. Connector 3.5 mm for the evolution series transmitters. Sound pressure level: 120 dB (max.). Equivalent noise level: 31 dB (A-weighted). 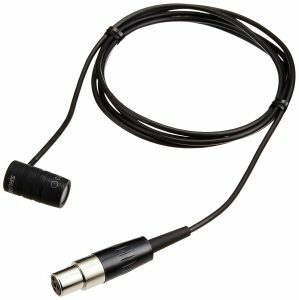 High-quality directional condenser microphone of lavalier performance by 10 mm. Frequency range MU-53L is 50-18 000 Hz at ± 3 dB, the resistance of the capsule is 200 ohms. The microphone is made in black and equipped with a connector from MIPRO (four-pin mini XLR or TA4F). Concise execution and easy mount. It has directional characteristics with wide dynamic range. Maximum performances of sound pressure (SPL) are provided without distortion. You can remove the cap and put a microphone on the right or left side of the holder (optional on the artist). The microphone of black color. Thanks to jack mini-XLR it is compatible with all transmitters of MIPRO. It has a smooth, warm and natural sound. Excellent quality of reception – no malfunction is observed. Good microdriver, all the details and features of the voice are heard. Has a stiffer suspension, so it is sensitive to the movement of the hands on the body. 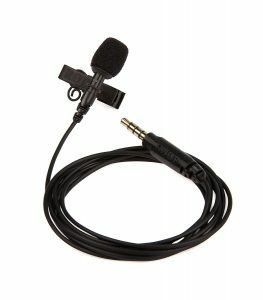 Miniature condenser lavalier microphone of high-quality Sennheiser MKE 1-ew, which can be used in film recording, in theatrical productions and musicals. The microphone – is almost invisible that has outstanding sound characteristics. Sennheiser MKE 1 has five color options: black / white / brown / beige / light beige. Perfectly adapted to the difficult operating conditions. It has a membrane of sweat protection, waterproof caps, as well as specially reinforced Kevlar cable with minimal contact noise and without loops. A miniature microphone is practically invisible. The level of the maximum sound pressure is very high (142 dB). Excellent speech intelligibility and natural sound. Flexible and durable cable thickness of just 1 mm. Sensitivity: 5 mV / Pa.
Sound pressure level: 142 dB (max.). Equivalent noise level: 27 dB (A-weighted). Power supply: 5 – 15. Color: black / white / brown / beige / light beige. 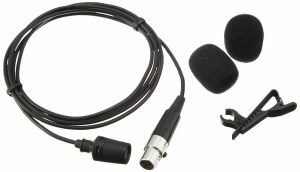 AKG C577WR – this condenser lavalier microphone is omnidirectional with integrated phantom power adapter and 2-diaphragm capsule to reduce the noise. Application of AKG C577WR: lectures, theater, scene scoring. AKG C577WR has a miniature waterproof design and it is guaranteed uninterrupted operation of the microphone, even in the hottest situations. Construction of AKG C577WR suppresses noise that may occur during the contact to the cable. The lattice of AKG C577WR is removed for cleaning. It is connected via fixing mono jack. Fixing is carried out by various terminals. AKG C577WR is an ideal choice for use it on stage or for leading television, who want to have a discreet but reliable microphone with exceptional sound quality. 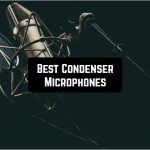 Type of the microphone – condenser. Frequency response – 20 – 20,000 Hz. Sensitivity – 8 mV / Pa. The impedance – 400 ohms. Ratio of signal / noise – 68 dB – A. Maximum sound pressure – 133 dB. 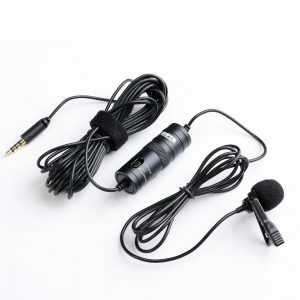 Length of cord – 3 m.
Miniature lavalier omnidirectional condenser microphone. 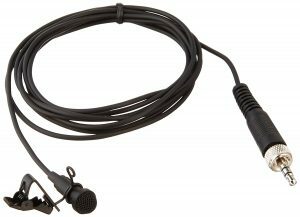 Wonderful lavalier microphone WL 183 is great for a variety of applications. In particular, Shure’s engineers use it in a popular radio system LX. WL183 is recommended for general scoring objectives, recording or remote monitoring. Has a low sensitivity to physical impact. The angle of reception – 360. 1.2-meter connection cable with 4-pin mini jack TA4F. Possible replacement of the microphone capsule into cardioid or super-cardioid. Angle of coverage: 360 °. 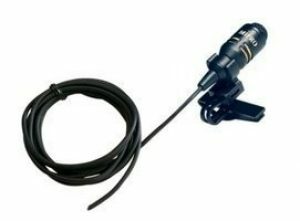 Sensitivity: -40.0 dBV / Pa.
Lavalier microphone of a condenser type is easy to use and universally applicable. Being electret, ECM-55B can be powered by the phantom power (48V) and from the usual AA batteries, which is enough for 5,000 hours of operation. Also, the feature of this model is a modified frequency response. Giving an expression to voice, it allows you to get excellent results during working with speech. The microphone can be easily attached and configured. This version comes with the battery. Frequency range – 30-18000 Hz. The maximum level of sound pressure – 126, 1 kHz at 1% THD. Ratio of S / N – 66 dB, 1 kHz at 1 Pa. This microphone allows you to get a full, rich sound. 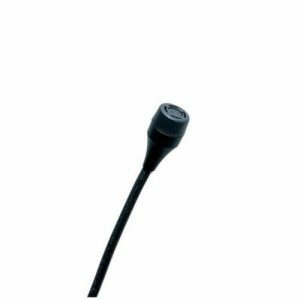 Miniature lavalier microphone CVL includes a convenient attachment for a tie, you can attach it to the tie, clothing, etc., so that it will not be visible to others. From the quality of the microphone, the recording quality is depended. Therefore it is necessary to choose the products which were time-tested and practiced of companies, to which the SHURE refers. Releasing of acoustic technology, this company has been since the middle of last century, which allowed it to achieve a high level of audio production. The model of this cardioid microphone is characterized, first of all, the high quality of each part used, which generally gives excellent results. Using SHURE CVL will bring a new, more sophisticated level of audio sound. This lavalier microphone will make it possible to get a full, rich sound. We should also pay attention to the warranty periods of SHURE CVL. This model is due to the build quality and components used, will work in perfect condition for long years. Type – lavalier condenser microphone. The output impedance – 600 ohms 1 kHz. The frequency range – 50Hz-20kHz. The maximum sound pressure -139 dB. The dynamic range – 117 dB. A microphone with a wide frequency range and an open, clear sound. AKG C417L – is convenient, small and in theatrical practice, radio and television, at sporting events and presentations. A method of mounting – lavalier. Type of power – phantom. Characteristic frequency according to the axis direction – linear. There is an option of simultaneous use of multiple microphones. 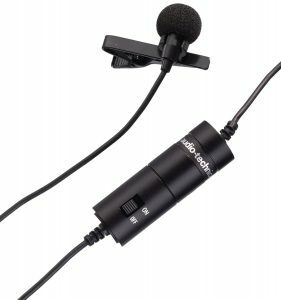 Audio-Technica ATR3350 iS – is a small narration condenser lavalier microphone, which is perfectly suited for video recording thanks to a six-meter cord with a mini-jack adapter and complete 6.3 mm. Omnidirectional pattern ensures the absolute type of omnidirectional coverage of audio sources. The normal connector of 3.5 mm, operating on the principle of dual mono, is suited to the cameras, digital SLR cameras, voice recorders and other recording devices. The microphone is equipped with a special adapter that allows to use it with all of the advanced phones based on Android operating system, iOS, and other. Low-profile microphone system guarantees the greatest obscurity. Frequency range – 50-18000 Hz. The resistance – 1 ohm. Output connector 3.5 mm (double mono). Compatible with devices on iOS / Android. Power of a battery – LR44. Weight 6 g (without cable and power supply).